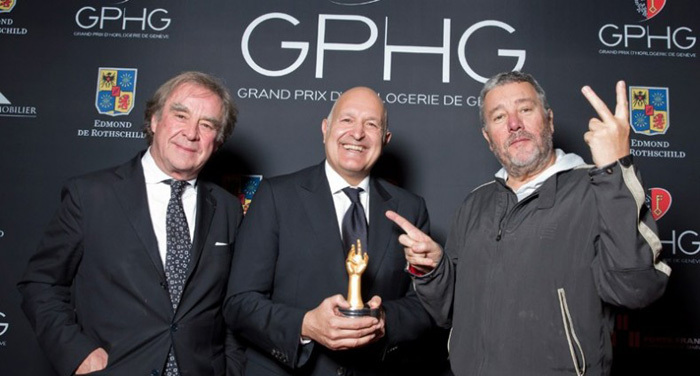 Aiguille d’Or Award | Golden Hand Award - award of the Geneva Watchmaking Grand Prix. GOLDENE UNRUH - German award for new watches given on the last Thursday in February each year. Grand Prix d'Horlogerie de GenÈve | Geneva Watchmaking Grand Prix | GPHG - contest between high-end watch manufacturers at the Geneva Watch Festival. HALLMARK OF GENEVA | GENEVA SEAL - a certification reserved for wrist watch movements made in the City or Canton of Geneva.